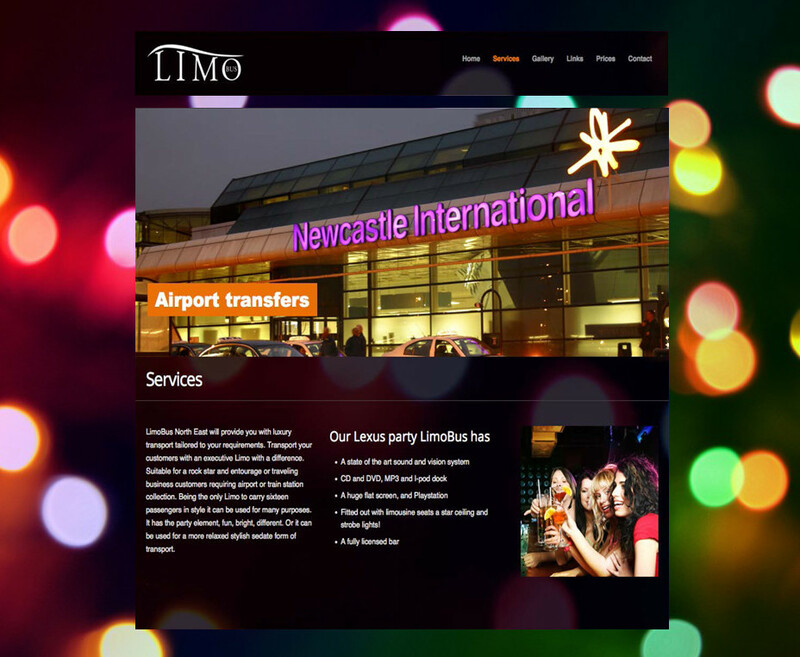 LimoBus North East is a family run business based in Washington, Tyne and Wear, and covers all areas of the North East. You can start the party before you get to the party, with music and drinks. They have a state-of-the-art sound and vision system, a huge flat screen, Playstation, and a fully licensed bar. 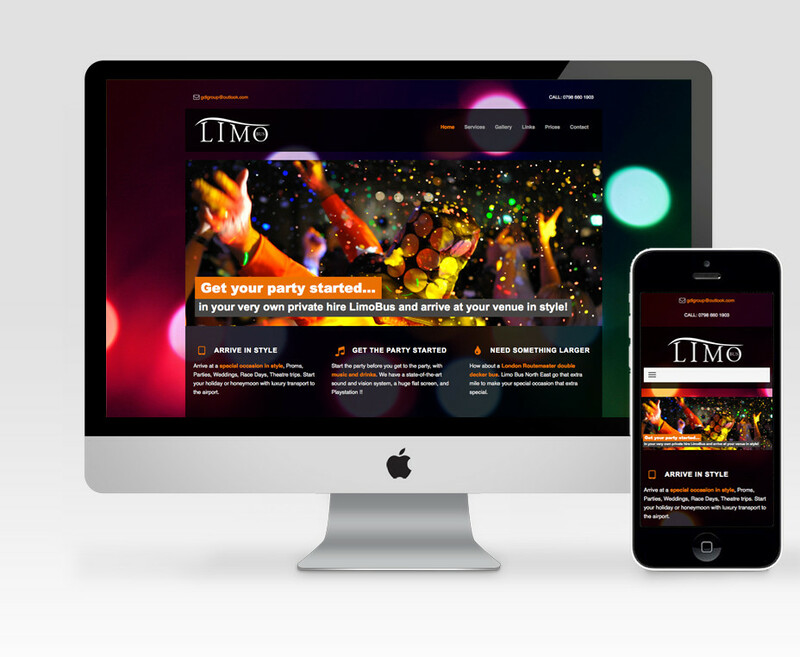 The brief was to re-evaluate their previous website which had become dated and not fit for purpose, and create a site that reflected the party experience the LimoBus offered. Using an abstract disco lights background throughtout and using a dark theme sets the party-club feel. 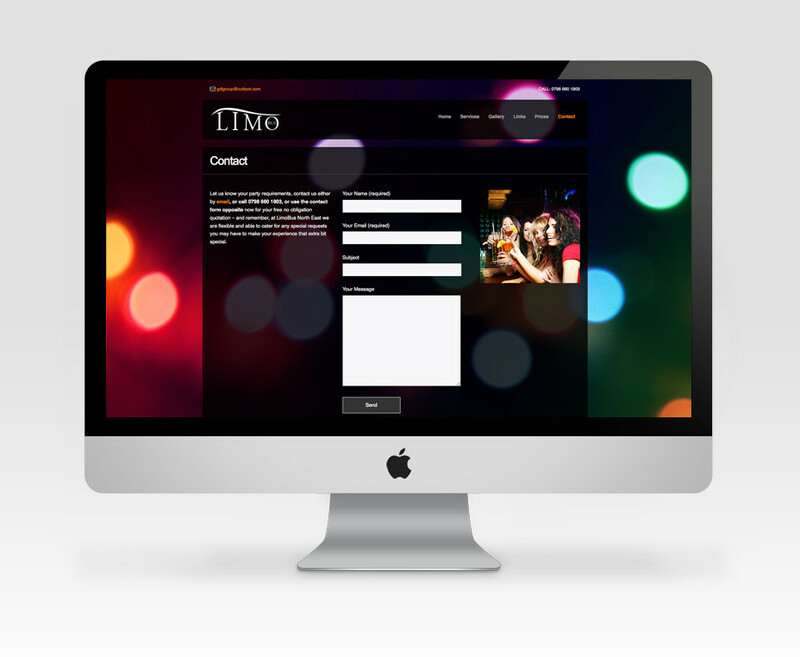 The website is fully responsive, uses a SoundCloud plugin to play a party sound track, a gallery section to display the latest events and booking form. The owners have full access to an admin area to update content.